Engagement Labs ranked the top 10 alcohol brands by their social conversations in a new study. NEW YORK: Heineken tops the list of both online and offline consumer conversations about alcohol brands, according to a study released by Engagement Labs. Heineken, Jack Daniels, Budweiser, Bud Light, and Corona made up the top five alcohol brands. More liquor brands appeared lower on the list, with Smirnoff, Coors Light, Miller Lite, Bacardi, and Grey Goose rounding out the top 10. The study, using Engagement Labs’ TotalSocial data, measured the volume of conversation, sentiment, influencers, and brand sharing on social media and offline for the top alcohol beverage brands from March 2016 to March 2017. "One thing that is notable is four out of the top five brands are beer brands, and two of the top five are big marketers Budweiser and Bud Light," said Ed Keller, CEO of Engagement Labs. "But the fact Corona and Heineken are in the top five reflects that if you’ve got a message that can stand out and is consistent, you can put the power of social influence to work for you." 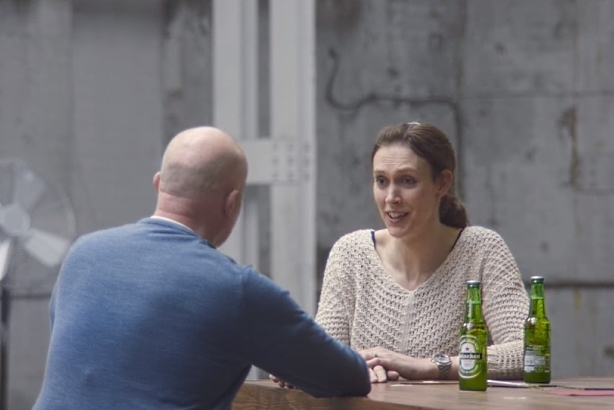 The study was completed before Heineken released its "Worlds Apart" social experiment video in April, encouraging people of starkly different beliefs to discuss their differences over a beer. Keller said the ad "builds on an already strong brand conversation." However, alcohol brands overall performed below average both online and offline. Keller attributes this to the smaller consumer market. Conversation about alcohol brands is limited to adults who drink, he explained. "The volume scores for the category tend to be lower than a number of other categories," Keller said. "The sentiment score is quite good for the category as a whole: When consumers are engaging in conversations, they are positive. You've got people wanting to understand the difference between all the various choices they have, such as between the big brands and craft beer movement. It’s a real conversation opportunity." A trend for alcohol brands is performing better in offline conversations than online. For example, Corona has better offline conversations with its strong connection to summer and beaches and the iconic image of a Corona with lime, but that hasn’t translated into the social media realm. "When consumers make decisions today, they talk about it both online and offline with other people in the lead up to making a purchase," Keller said. "There is so much focus now on viral videos, and that makes a difference, but the consumer increasingly moves back and forth, particularly in this category of alcohol brands. This is such a social category. Consumers are out with their friends and looking for something online while also talking offline, which is why we take this integrated view."